Ever had one of those days when you’re already running late when you get behind the wheel, only to find out you’re nearly out of fuel, and will need to make a pit-stop on the way to work? What if your car could order gas for you, so you never ran out of fuel again? That’s not something in the distant future, it’s happening right now in San Francisco. But there’s a catch. You have to own a Bentley. 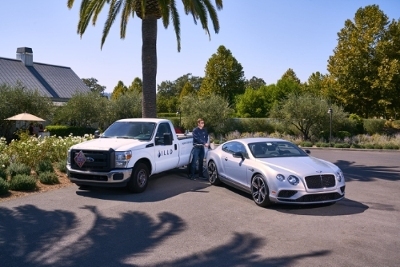 Bentley Motors has partnered with Filld, a gas delivery service, to make it possible. Participating Bentleys notify the service when they have less than a quarter tank, and the service then tracks down the car (it doesn’t have to be in its garage) and fills it. Filld hopes to expand the automated fuel order to other manufacturers. In the meantime, drivers of lesser cars in California can use the Filld ap (Android and iOS) to have gas delivered to their car. I woke up to our first snow of the year yesterday, so naturally I spent some time online looking at cruises and exotic vacations. And did I find a winner! Check out this offering from Road Scholar: London to NewYork: Classic Cars & the Goodwood Revival. This 20 day vacation (September 3 to 22, 2017) starts in England, where you get to tour the Morgan Car Factory, Castle Donington at Silverstone, and the Jaguar Car Factory, followed by three days at the Goodwood Revival, a tour of the Brooklands Motor Museum, and more. Finally you sail to New York aboard the Queen Mary II, which should make the trip more appealing for those with non-car fan spouses. You can always count on Barrett-Jackson to have a seriously collectible vehicle at their auctions, and the 46th Annual Scottsdale Auction next January is no exception. 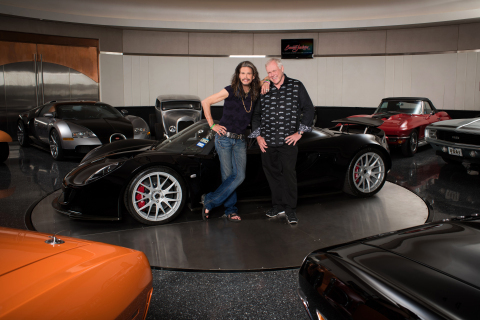 Up for grabs, at no reserve, is rock star Steven Tyler’s Hennessey Venom GT Spyder, one of only 12 Venom GTs built to date and the first convertible Venom. The entire hammer price is going to Janie’s Fund, Tyler’s charity for abused girls. So I checked out Hennessey’s page and found that it’s based on a heavily modified Lotus Exige chassis, and yes, it is street legal. They also have far better photos than the one that came with the press release. If you’d like to bid on the car, or anything else on the auction, you can start the process at http://www.Barrett-Jackson.com/Bidder/Home. If you’d like to order your own Venom, or just want more details on it, check out the Hennessey Performance Engineering web page. If you want to know more about Janie’s Fund, the charity named after the 1989 Aerosmith song “Janie’s Got a Gun,” check out the web page. Got a recent press release from the City of Montreal that they’ll be hosting a formula electric race next summer, and not just any race but the FIA Formula E Championship. The eprix Montréal Race is slated for July 29 and 30, 2017. Could be interesting and certainly a chance to get a look at some serious electric cars. 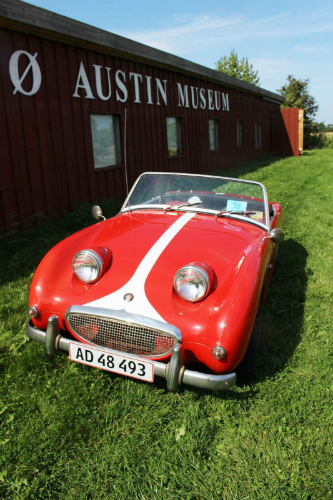 A Danish museum devoted to Austin cars is currently at auction online (auction ends November 8). 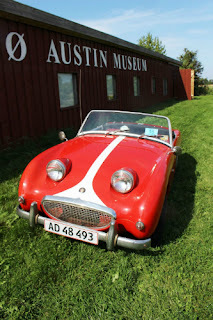 The museum contains 47 Austin vehicles plus memorabilia, and is to be sold as one lot. For a look at the collection and more information on the auction, check out the YouTube video below. I don’t know if it will still be up after the auction, but auction house Campen Auktioner’s YouTube channel has other videos of interest as well. 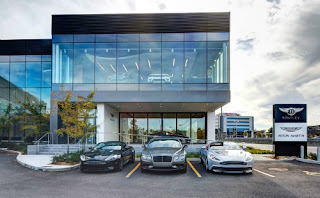 Good news for lovers of British luxury cars in Eastern Canada. 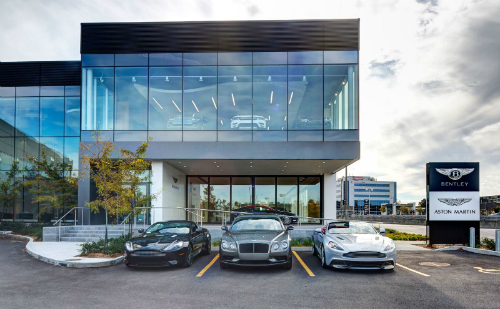 Decarie Motors, at 8225 Decarie Boulevard, Montreal, will be opening their new showroom, a 46,000 square foot expansion, this week. 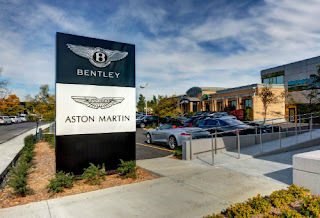 The press reveal with VIP guests will be November 2 (tomorrow night), and will show off the Bentley Bentayga SUV and the new Aston Martin DB11. No, I won’t be there—writing this blog hardly qualifies me as press—but the press release did have photos which I’m happy to share.